Clara was flung headfirst into a dangerous mess when her father started racking up gambling debts that he couldn’t pay off. She found herself paying the debt off to keep her father safe, but she was putting herself in danger on a daily basis. The men her father owed were not quite men and the leader, Mathew could be described as a beast. He was the one that she had to plead with when the money ran short one month and now Mathew wanted more than just her money. He wanted her body as well. Clara has to find a way out of this mess. The answer comes when a man she doesn’t know offers her help. Michael tries to convince her that he’s only trying to help, but Clara suspects that he wants something more. She’s heard the rumors. She knows what he is, but none of that stops her from feeling more than she is supposed to for her savior. Things get out of hand and Clara is once again in way over her head. She finds herself in the middle of a blood feud that she wants no part of. Clara doesn’t have a choice but to get dragged into it. She won’t be coming out the other side unscathed. have mixed feelings about this book. On one hand I enjoyed the short read and on the other I didn’t. The heroine Clara had no backbone and seemed overall kind of weak to me unless it came to one thing. She accepted her fate with the hero even when she had reservations about it and just “rolled over” she didn’t seem real to me. The hero while he was marginally better then the antagonist “his brother” wasn’t really all that better and his pushy attitude toward her being his mate just because they slept together was hard to swallow. That part didn’t make sense to me because that meant a claiming and being mates but wouldn’t that mean his brother claimed and mated every girl he was with? This book needed a editor run through again because the name Michael (hero) was in several places that Mathew (antagonist) should have been plus a few sentence mishaps. Based on the contacts this book is for a mature audience. 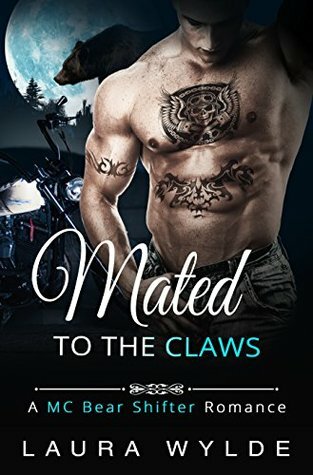 As an independent reviewer for Romance Authors That Rock with her own thoughts and opinions I give this book 3.5 hearts. Posted on November 21, 2018, in Paranormal Romance & Author's That Rock. Bookmark the permalink. Leave a comment.